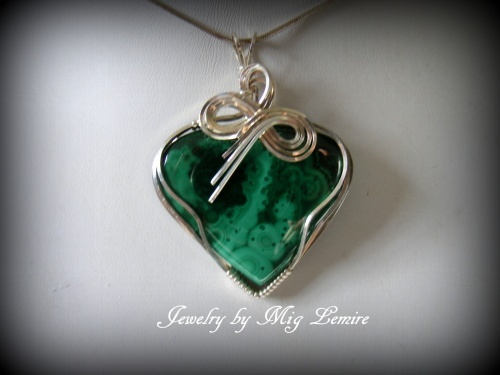 This dramatic Malachite is so unique with all its varied greens running through it. The sterling silver framework is also very dramatic because the darkest greens of the stone are on the edges making the silver really pop. Piece measures 2" from the top of the bail to the bottom of the stone and 1 1/4" wide. Comes with a sterling silver snake chain.